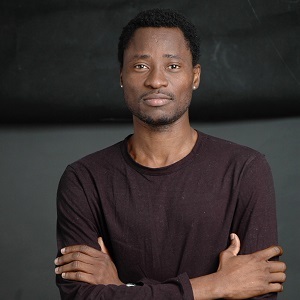 Bisi Alimi is a CONTROVERSIAL, PASSIONATE, and POWERFUL internationally renowned researcher, public speaker, policy analyst, television pundit and campaigner. He has appeared on many international television stations as a social and political pundit, including, CNN, BBC, Al Jazeera, and CCTV, and outlets like NPR and the Washington Post has profiled him. He has many laurels for his work globally. He consults for World Bank on Economic impact of Homophobia and serves on the Bank advisory board on SOGI. He was a 2014 New Voices fellow at the Aspen Institute. Listed 19 most important LGBT person in UK 2015 and was named 77 on the World Pride Power List 2014. Summary: Bisi’s answer to the five questions! Listen to the full conversation on the player above; also available on iTunes, Stitcher and Soundcloud. I will not be imprisoned by hope, but I will let hope be the wings that I will fly with. My friend who selflessly saw on his deathbed the need for hope for the future in the sense that he demanded of me to please go and start HIV work with other friends who have limited idea about it or limited understanding of it. Another person that has really inspired my hope is Bayard Rustin who has eventually become my biggest mentor. Unfortunately, I was never aware of him until recently, but his hope for not just a better racially equal America, but a better sexually equal America was something that was driving his work growing to be the biggest organizer of a protest ever in human history. That was amazing for me because he had this hope that if I don’t do this now, tomorrow is not going to be a better day for people coming behind me. I remember the likes of Martin Luther King and I remember Nelson Mandela as well. There are a lot of really, really great people that have inspired my energy for hope. There had been times that my work has been challenged. There had been times that my self-worth, I have questioned, but when I think about that particular moment, the only thing that got me going was because there was something else I needed to do. That’s why I had the opportunity to escape that assassination. That incident contributed to my being a little bit depressed and when I get into that depressive mood, it is that escaping that night that becomes the light that comes out of the tunnel. It just keeps me up saying you have to go, you have to go…Life is worth living and you have to work and make the world a better place. Sometimes I ask myself, if those guys are still alive today, possibly they might have seen me on TV or have heard me on the radio or have read my articles, I just want to meet with them and ask how they are feeling now. Are they regretting the fact that they did not carry out the act or are they like, oh I want to ask this guy for forgiveness and we’re proud that we didn’t kill him because of what he’s doing now. I have no idea what’s going on in their mind. If there is anything I’m hopeful for, it is to actually meet with those guys. So, if they are out there and they have a chance to listen to this, I would really love to have a chat. I share hope with people in different types of ways. Through my public speaking engagements, I share my past and experience and I let people know that a better world, a better approach to things is possible. In many situations, I have used my personal life stories to let people know that you can be courageous. (2) If you feel passionate about something, go out there and do it. (3) Reach out – a hello, a handshake is enough to give hope.